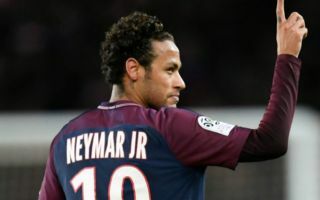 Neymar has reportedly requested that PSG make a move to bring Real Madrid and Brazil midfielder Casemiro to the French capital this summer. This is according to Diario Gol, who note that PSG haven’t yet made an actual offer for the 26-year-old, and that Casemiro doesn’t intend to leave Real unless the offer that comes in for him is too good to turn down. The report also notes that Casemiro will ask to leave the Spanish giants next summer should his playing time be reduced during Julen Lopetegui’s first year with the club, so it seems like PSG may not have to wait an eternity before they bring Casemiro to Paris. Signing Casemiro would be a fantastic move by PSG, as the Brazilian international has shown these last couple years that he’s one of the best defensive midfielders on the planet. With current PSG ace Thiago Motta now at the old age of 35, it’s clear for all to see that PSG are going to need to dip into the transfer market to sign a replacement for the ageing Italian. And Casemiro could be just the man they’re looking for. During his time with Real, the midfielder has managed to become one of the club’s most important players, with his defensive duties and abilities contributing significantly to Luka Modric and Toni Kroos’ ability to put in stellar performances time and time again for Los Blancos. PSG should definitely listen to Neymar on this occasion and move for Casemiro, as bringing him in would see the club have a solid defensive midfielder in their ranks for years to come.